To take classes with us, each student needs to become a member of the Free Spirit Dance Community. Membership is $15 per annum, renewable in January each year. Please see your teacher to obtain a membership/enrolment form, or click JOIN US to join now! Please read below our regular class times. To enquire about classes, check out more information on our Teachers page, or email FreeSpiritDanceCommunity@gmail.com or call Princess Fee on 0415 881 370. 5/5 Hydro Rise, Bibra Lake, WA. A Zumba-style fitness class using Gypsy Caravan Bellydance moves. An oriental class with the gorgeous Eva, aimed at beyond beginners to intermediate. A high energy Bollywood fitness and fun choreography class. An improvised dance style, start learning your Gypsy Caravan vocabulary here. An intermediate - advanced choreography class in Orientale style bellydance. An intermediate – advanced choreography class exploring different styles and props. Connect with the core & slow the flow in a low-impact improvised format. Int-Adv. Beginners and Progressive Bellydance with Dahlia An intro to the Belly Basics to Beyond Beginners. 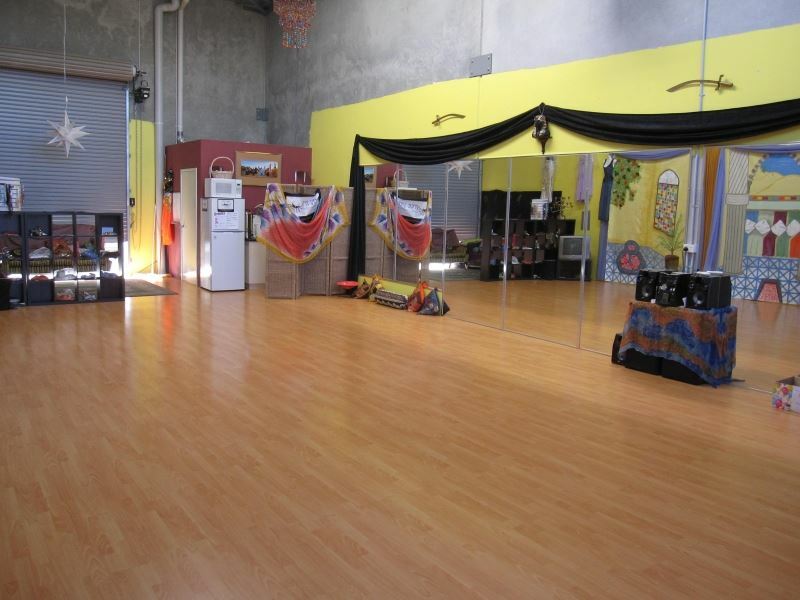 Our Studio is located at 5/5 Hydro Rise, Bibra Lake, 6163.